Looking for craps tables at Australian casinos is easy and also not so easy job for a player. You will wonder why easy and why not so easy. Well, the fact is that Australian land based casinos have fewer Craps table whilst online casinos are full of Craps games to play and enjoy. 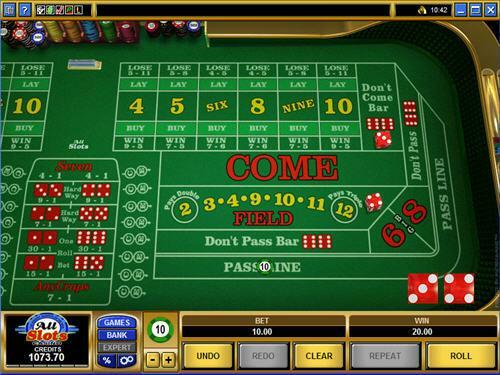 As you know Craps is one of the easiest game to play with only thing to understand is the basic rules of the game. Australian land based casinos host craps tables which are often limited to the table’s opening hours to weekends. Here below find the list of popular casinos in Australia and the availability of Craps game table at their venue. Adelaide Casino – Unfortunately no craps gaming tables to be found here. Crown Casino Melbourne – Offers one craps table in the Las Vegas Poker Room (runs if enough players show interest). Star Casino – Offers two craps table, one open during the week, and two open on weekends. So you see there are not much of Craps games to enjoy at Australian land based casinos. One of the reasons that the casinos do not promote this game is because they believe that the odds favour the player too much which is not true. While craps does offer some of the best odds for the punter, the availability of tables in Melbourne Crown Casino, Jupiters, Lasseters, the Star and the Treasury Casino show venues aren’t too concerned about the lower house edge. 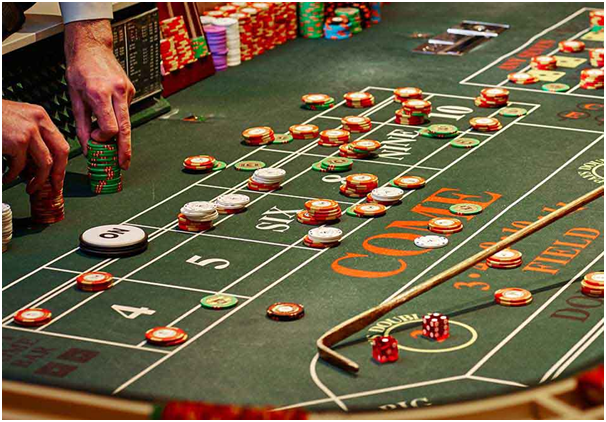 One reason that is cited at land casinos for not having craps tables is the lack of interest among casino staff as well as less knowledge about the game assuming that the game is more complicated than it really is. Finally the best option for Aussies to enjoy Craps is all left to enter the online casinos, know the craps rules of the game and play for real money. There are many online casinos that allow Australians to play their craps table game and deposit in AU currency with friendly deposit options and withdrawals. 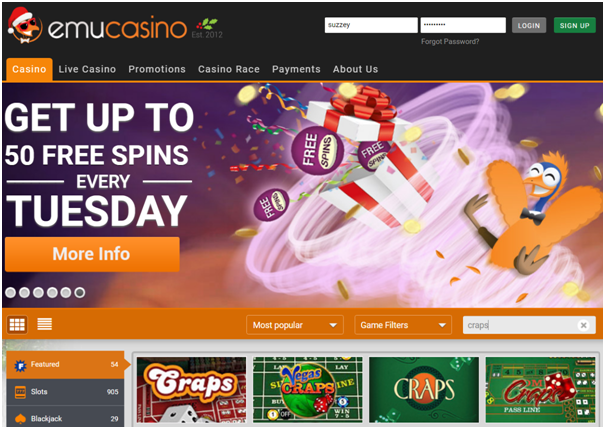 Online casinos to play craps in real AUD are Emu casino, Mongoose casino, Rich Casino, Fair Go Casino and others. Also there are many Bitcoin casinos to play Craps online with BTC or any other cryptocurrency. Playing is easy as you simply take any gaming device be it mobile or PC or tablet and type the casino URL hit enter and visit the homepage. Register yourself as a new player, make an initial deposit of $10 -$25 and grab awesome bonus to play craps instantly. But if you want the real live show of Craps and wish to play it in Australian casino then Crown Melbourne is the best suggestion for you. It offers very friendly atmosphere with great offers to play. 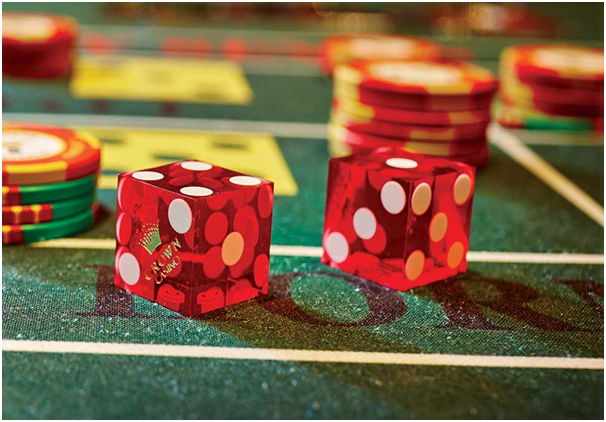 You can go through the craps game rules here before you visit Crown Melbourne and do share your experience as well.